Today I'm throwin' it back to this little look I did and then just had sit in my drafts for forever. 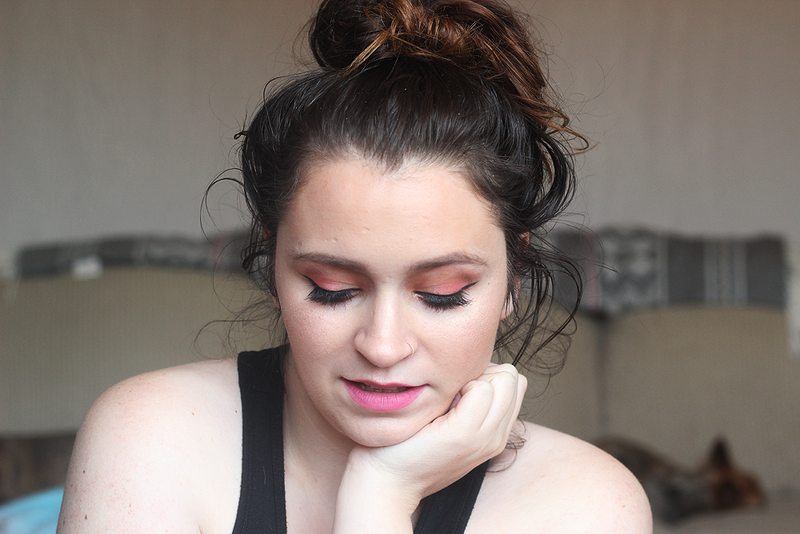 This look in particular is just a fun wash of color on the lids mixed with the world's worst messy bun. 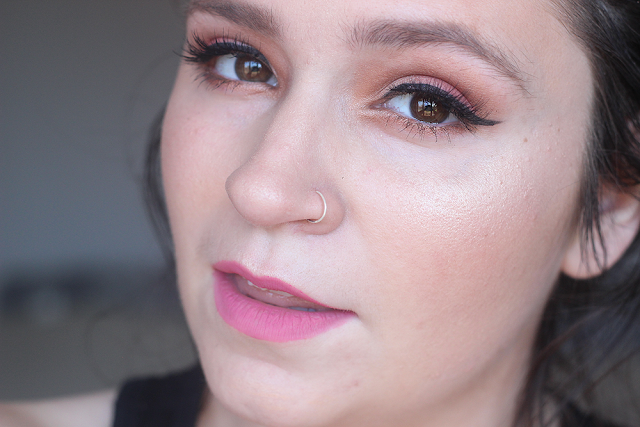 I also tried out a few products back from my Sephora sale haul - the tarte Tarteist Clay Paint Liner, the tarte Tarteist Lash Paint Mascara, Urban Decay Afterglow Highlighter in Sin (!!!!) and the Urban Decay Summer Bronzer in Bronzed. 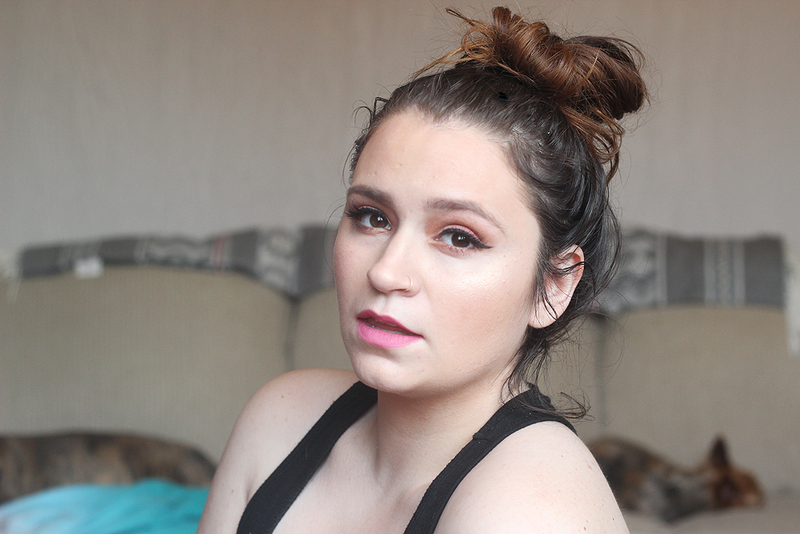 FACE: I started off with the Smashbox Primer Oil which I have been lovinnnnnnn'! It leaves my skin so, so soft afterwards. Then I applied the tarte Rainforest of the Sea Water Foundation (in light neutral). I completely forgot concealer and went straight to bronzing with the UD Summer Bronzer in Bronzed and then highlighted with the UD Afterglow Highlighter in Sin which is amazing! No blush. BROWS: Anastasia Beverly Hills Brow Definer in Medium Brown. I'm still kind of "meh" about this because I feel like it's not the same as "Ash Brown" if though they say it is. Haha. EYES: MAC Paint Pot in Painterly as a base. Kat Von D Esperanza Palette on the eyes - Dog Roses in the crease, Galore on the inner lid and Placebo on the outer corner. Dog Roses on the lower lid. I'm pretty sure the lashes are just cheapy ones from Wish.